LIKE BRAND NEW and an A+ LOCATION 200 steps from the Sand in coveted North Manhattan Beach. This 3BD, 4BA Modern Ocean View home is situated on an Extra Wide lot which makes the home also oversized and extremely spacious and open. It is perfect as a primary residence or ideal as a second home. The top floor has an open floor plan with disappearing sliding glass doors which open to panoramic ocean views and a beautiful deck for barbecuing. A spacious kitchen houses top of the line appliances and a movable island wood block perfect for entertaining. The dining room includes a Custom Built all glass 160 bottle Wine cellar. The Master Bedroom has an intimate private deck as well as hanging barn style closets. Other features of the home include a 3 stop ELEVATOR and 3 level Air Conditioning, a High End indoor and outdoor stereo system, water filtration system and an outdoor shower. You have 4 CAR PARKING which is extremely rare this close to the beach. This WOW house is located within a mile of downtown Manhattan Beach and just a few blocks from the super hip North Manhattan beach downtown with its' great restaurants, cafes, shops and yoga studios. Just minutes to Los Angeles International AIRPORT. Most importantly, you are only a block away from some of the Best BEACHES and Surfing ever! Lot Size: 0.07 Acres / 3155 Sq. Ft.
SchoolsClick map icons below to view information for schools near 229 Rosecrans Place Manhattan Beach, CA 90266. Listing provided courtesy of Christine Solomon, Nwre Brokers. Home for sale at 229 Rosecrans Place Manhattan Beach, CA 90266. Description: The property at 229 Rosecrans Place Manhattan Beach, CA 90266 in the subdivision with the MLS# SB18215937 is currently listed for $2,825,000 and has been on the market for 225 days. 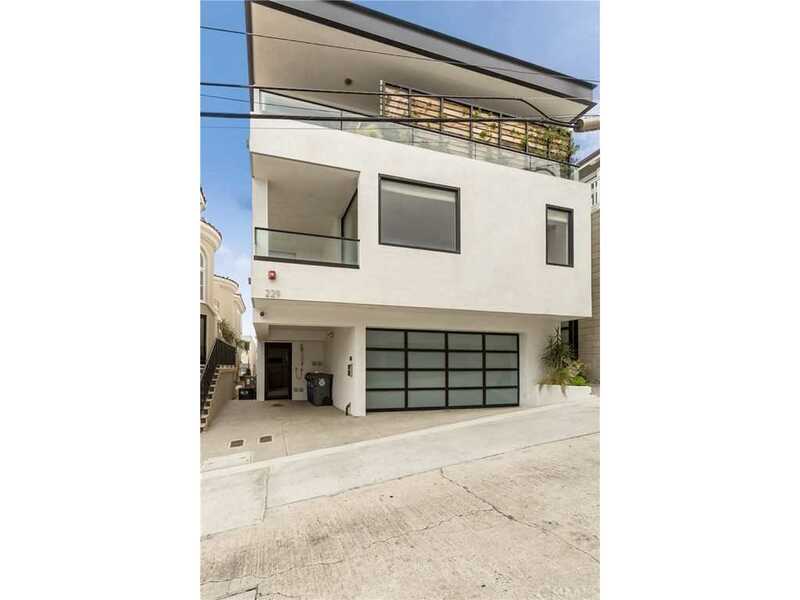 You are viewing the CRMLS listing details of the home for sale at 229 Rosecrans Place Manhattan Beach, CA 90266, which features 3 bedrooms and 4 bathrooms, and 2331 sq.ft. of living area.